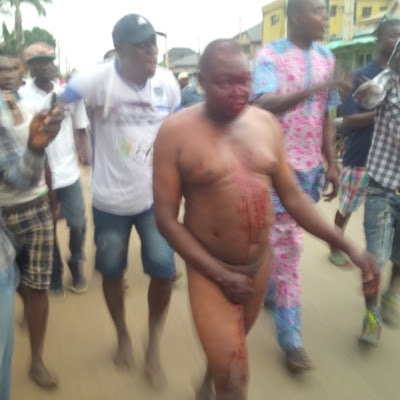 Home / Unlabelled / Child Kidnapper Caught and Almost Beaten To Death In Lagos. Child Kidnapper Caught and Almost Beaten To Death In Lagos. jumping on his bike and running away. and passersby chased after him. chasers didn't give up and he was eventually captured. from Oko Oba division came to his rescue and took him away.